Ever walk into a quaint café, immediately feel the character and know there’s something unique and special about the place? We all love this type of eatery because we know something special permeates throughout, from the service, to the food to the hospitality. What makes these places so special? 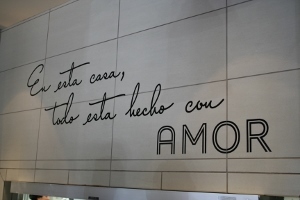 At Isabel’s Amor, it’s right there on the wall to greet you as you enter: “En esta casa, todo esta hecho AMOR”, (In this house, everything is done with love). It’s really that simple….and that evident. Owners Tim and Julie Vasquez share the passion of previous generations of restaurateurs. Inspired by Nana Isabel’s famous recipes, Poncho and Isabel Vasquez, Tim’s nana and tata, opened Poncho’s in south Phoenix in 1972, but not before laboring in citrus groves and grocery store warehouses. Years later they started the multi-location Someburros restaurants. Poncho and Isabel’s hard work and sacrifices are the inspiration for Isabel’s Amor, and what make it that special place full of character, ambiance and love. Spotlight Signs and Imaging Solutions was thrilled to help Isabel’s Amor with their Grand Opening and help greet and guide hungry patrons off Williams Field Road and Val Vista, to the quaint Mexican Café known as Isabel’s Amor. Be sure to stop in and experience Nana Isabel’s famous recipes, enjoy the warm and cozy setting and try the agave-forward cocktails. It really is a special place. 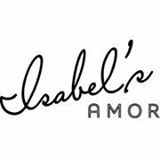 Learn more about Isabel’s Amore and check out their menu at http://isabelsamor.com/.